Newcastle International Airport has become the latest UK airport to transition to using state-of-the-art electronic flight progress strips. Moving from traditional paper to electronic flight strips will offer major efficiency benefits for Newcastle, allowing for the seamless sharing of operational data across the entire airport. Aircraft can now be given departure clearances electronically, reducing controller and pilot workload, while aircraft on and off-stand status data can be shared almost instantly helping to speed up decision making. 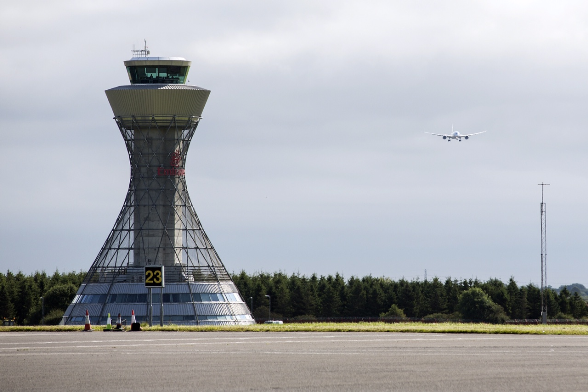 Air traffic services company, NATS was selected by competitive tender to work with Newcastle to deliver the project, with the smooth transition marking the end of a successful 12 months. The project involved NATS designing a unique interface for Newcastle’s controllers, allowing it to take into account the airport’s specific requirements, while working to ensure seamless integration with the UK’s wider air traffic network.